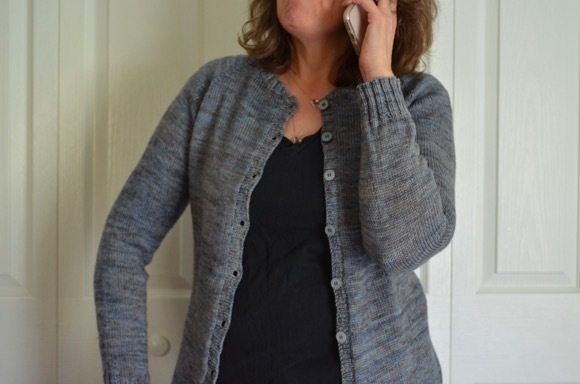 I've been daydreaming of new knitting projects, some lace weight cardigans that "go" with my pieces already in the closet. Airy lightweight sweaters. Sigh. I am NOT casting on anything new until something, anything is finished! As I type this, my citron is ever so close to being finished, hopefully today. Once that is off the needles, I'm tackling the hitofude cardigan and the baby blanket. The painting week really through my knitting productivity off course. My reading has changed, I'm on book two of the Big Stone Gap series by Adriana Trigiani. So so so good. I love how the book is about a community and the events. 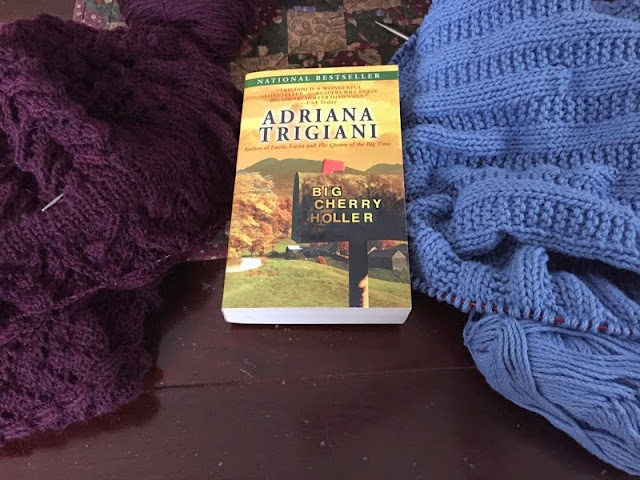 I've read this book before (Big Cherry Holler) but luckily I do not remember the plot. So I'm guessing it will read as a new read, an extra bonus for me! 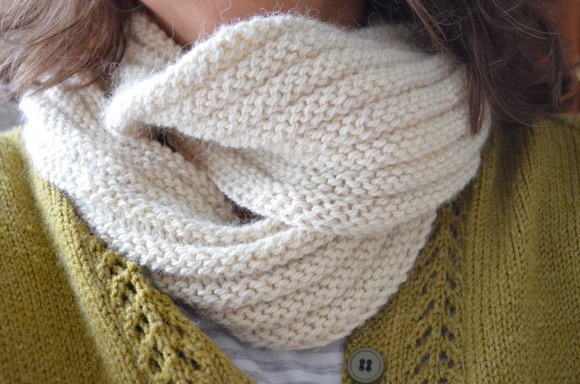 Maybe there is something in the air that is making Knitter's want to cast on new projects? I don't know, but I found myself poking around Ravelry yesterday with the same thought. The Big Stone Gap Series is something I will have to check out, thanks for the recommendation. I have had the urge to crochet recently and find myself with lots of ideas for new projects. My shawl is finished, but I'm still trying to finish the book for my book group. It's very good and needs to be savored, but I can't seem to get to it for long enough periods of time to keep the story in my head. You knit the best projects. Looking forward to seeing more of your Hitofude. all your projects are so.....BIG!!! I need those littles every once in a while to keep my mojo on track! Had hoped that Intertidal would be finished this spring (a light airy pullover sweater) but it got sidetracked with some of those 'littles'!!! My theory doesn't work. !!!! I finally finished my summer top and cast on a little shawl. During the hotter month I really don't want a heavy knitting project laying in my lap. Hot enough as it is. ;-) Hitofude is still on my list, but I think it'll be a fall knit for sure. Can't wait to see your finished Citron! I love the Big Stone Gap series. I'm not sure if I've read the last one or not. I'll have to check on goodreads to see where I am in the series! I worked on Hitofude in a fit of desperation this week as I had no progress on my cowl. I've finally found the perfect yarn (silk!!) for casting on a Citron!! It's going to be a Christmas present for my daughter and I can't wait to cast on! It makes me feel better to hear there is someone else who forgets the plot to a book they have already read. I'm trying to finish a baby blanket as well. And I need to hurry before the weather gets so warm I don't want a big wool blanket on my lap as I knit. I'm trying to read "H Is For Hawk", a British book, but am really struggling. I might have to abandon it, and I hate doing that. Good luck with finishing Citron! I totally know that feeling when your mind has already left your current projects and is on to the next thing. Here's to casting on! Lovely projects! I picked up Big Stone Gap from the library the other day! Happy Knitting! Citron takes forever, doesn't it? But it is a lovely shawl. I'm still struggling through My Struggle. I'll post about it later this week. I will have to check out that series...I love reading about communities. I say you SHOULD cast on something new, especially if you have been daydreaming about it. You are such a fast and talented knitter and all your projects always come off the needles sooner than later. Enjoy. I'm liking the pattern - but my yarn color - not so sure on that one - kind of darkish! Good luck finishing up those projects. I just love the colours. I am for sure feeling the urge to cast on new things as well! But indeed, other things must be finished first. I have the hitofude cardigan in my queue. Next year, I think/hope. I am really look forward to some knitting time this weekend! It's been ten days without knitting. Despair. Looking forward to seeing those projects finished. Your knitting is so beautiful. I have three of that series on my nightstand after borrowing them from my mom but I have another book that just came from the library so they will wait a little bit! I am not the kind of person who likes to pick up a random book and read it, so Yarn Along has been a huge help in expanding my repertoire and supplying me with good reading material all the time! I had to go to ravelry to check out the citron shawl, it will look fabulous when finished. The baby blanket looks like an easy knit but all these things take time. I have only just cast on my second sock - remember all those months ago when I started these...probably take me just as long again to complete this one... I am not a productive knitter and do tend to try to do only one thing at a time, so will stick with this until it is finished. No knitting on the needles here, but they do look lovely resting atop the knitting bag next to the couch! : ) I am slogging my way through "The Story of Edgar Sawtelle". My daughter loved it but I am finding it to be a slow read, definitely not one that I keep ignoring the chores for so I can see what happens next! Have a great weekend, Karen! That book sounds great. Your knitting is beautiful. I hope to see lots of finishes soon.